Many people prefer to keep their identity secret after a lottery win. Sometimes, however, the winners are more than happy to share news of their good fortune with the world - it just depends on your point of view. And of course there are times when we are already familiar with the name of a lottery winner, as they have already earned fame in another field. Would you like to find out more about some of those famous lottery winners? We have compiled some fascinating examples, examining not just reality but also some fictional lottery winners too. Millions of people around the world dream of winning the lottery jackpot. When they finally do strike it lucky, many winners are quick to invest in fast cars, dream homes, exotic holidays and designer clothes. 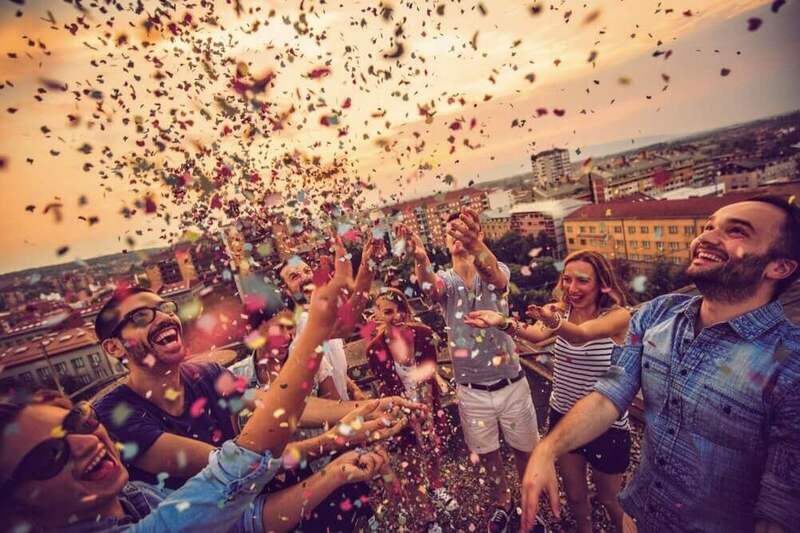 Others, however, have a more serious idea of ​​what to do after winning the lottery as they want to ensure that their jackpot winnings stretch a little bit further. There are plenty of examples out there of people who have invested lottery winnings wisely only to reap the rewards in the years which followed. Take the case of Florida bar-tender Jason Fry. After splashing some of his $14 million on cars and entertainment for friends and family, he decided to make a more sensible investment and purchased a golf range and a battery supply franchise in his home town, both of which now turn a tidy profit every year. There are plenty more examples of savvy lottery winners who have found ways to make their new-found wealth generate even greater profits. Former bus-driver Peter Laverty from Northern Ireland spent the first few months after his £10 million win toasting his own success. Realising that this was going to get him nowhere fast, he instead started to invest in rental properties - more than 30 in total - and decided that rather than throw away his money in bars he would buy a local whiskey distillery, providing 80-plus jobs for the local economy in the process. Idaho man Brad Duke was not content with his Powerball lottery jackpot win worth $85 million. He vowed to turn that multi-million jackpot into a billion, investing in a portfolio of properties and a fitness group. Last reports suggested that although he had turned his millions into a profit that elusive billion dollars was still a long way off, but that Brad was enjoying the journey towards achieving his goal. This attitude could apply to a number of lottery winners. After all, as the grand slam winning tennis player Arthur Ashe put it: 'Success is the journey, not the destination'. The lotto is also an event in which profit is not the only important factor. Psychotherapist Dr Stephan Lermer is an expert in the field of the psychology of happiness and he claims that people enjoy above all the process and the dreams that come before a win. When it actually comes to winning the lottery, it often happens that fortunate people with this frame of mind tend to share their profits with others. Implementing a business idea is just one of the many ideas that come to mind when you think about spending a lottery windfall. Buying a house or car and going on a dream trip is also high on the wish list. But there are also those people who play the lottery just for fun. The thrill of a potential win holds a greater attraction on them than actually realizing a particular dream. But what to do if you actually win the lottery? For Tom Crist of Calgary in Canada, the answer was clear. The Canadian achieved a fairly high profile in 2013 in his home country and even around the world after he hit the jackpot. This was not only because of his remarkable lottery jackpot win of almost 28 million euros in the Canadian 6/49 Lotto, but above all because he donated all his winnings to charity. In his opinion, he and his children had already taken care of their lives and they didn't need any more money. Instead, he gave the full amount to Canadian health care associations and a regional health organization: a truly remarkable gesture. Before Tom Crist, there have been other generous lottery winners to have hit the headlines. However, unlike the Canadian winner, the following fortunate winners are used to the glare of the media spotlight. For example, George Clooney and Elizabeth Hurley had already demonstrated their generosity. In 2010, both actors agreed to donate all profits they made from the Italian lottery SuperEnaLotto to support the victims of the earthquake in Haiti. The Queen of Pop, Madonna, also hit the headlines in 2012 with a lottery win. 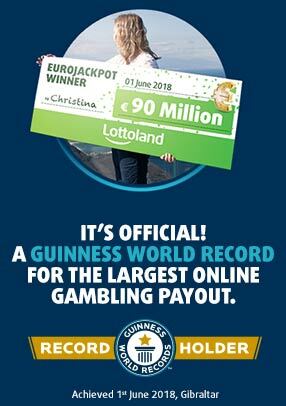 The world-famous singer managed to win €120,000, also from the Italian SuperEnaLotto. (What is it with these celebrities and the Italian lottery?) All of her winnings were used to help to build schools in Malawi. The generosity of these lottery winners is really something quite remarkable, as was the kind-heartedness demonstrated by our next celebrity. The actor Hugh Jackman has introduced a great tradition to Hollywood movie sets: for years he has been buying lottery tickets and giving them to his colleagues. We are not talking about one or two tickets here either, we are talking about hundreds every week. The Australian believes that the optimism and good feeling generated by doling out those lottery tickets can significantly improve the mood in the workplace. Sounds like a great idea to us! So far the highest recorded profit from one of those tickets was $1,500, but if he keeps going at this rate then surely some lucky crew member is going to hit the big time. The 1994 movie 'It Could Happen to You' saw Nicolas Cage land a jackpot in the lottery. In fact this movie was based on a true story, although some of the real-life details were altered a little so as to inject some Hollywood romance into the story. A police officer doesn't have any cash with which to tip a waitress at the local diner, and promises to share in the proceeds of his lottery ticket should he happen to win anything. When he actually wins and wants to keep his promise his wife is somewhat less than impressed, to put it mildly! Lottery fever struck the town of Pawtucket in the animated series Family Guy when Peter scored a big lottery win. Predictably, Peter manages to blow through his millions in no time, alienating his friends in the process. After losing all of the family's money on ridiculous purchases, they are fortunate enough to win again. Will the Griffins have learned their lesson and decide to invest their second windfall wisely... viewers of the show probably know the answer to that one! Another series in which one of the characters bags a lottery win is the American cult series Lost. Fan favourite Hugo "Hurley" Reyes wins a total of $156 million with the numbers 4, 8, 15, 16, 23 and 42. However, those lucky numbers do not bring him much good fortune. After his multi-million-dollar win he is pursued by bad luck and sees himself exposed to, among other things, a meteorite impact and the famous plane crash which marks the beginning of the series. Imagine that you could be God for a while and take care of people's prayers. This is exactly what happens in the comedy Bruce Almighty starring peak rubber-faced Jim Carrey. At first Bruce quite enjoys his new job, until he realises the weight of responsibility that comes with it. Countless people, for example, pray that they will win the lottery. To save more work, Bruce simply decides that all of them wins, without thinking of the disasterous consequences of suddenly creating so many millions of millionaires. Fortunately, the last-mentioned examples are really nothing but fiction. We are sure that you will find your way to a golden future in the event of a million-dollar windfall, whether as a famous lottery winner or choosing to stay away from the spotlight. In any case, you can try your luck with a bet on the next draws as we have got a lottery for every taste here at Lottoland! Fingers crossed that whichever one you choose your numbers will come up!